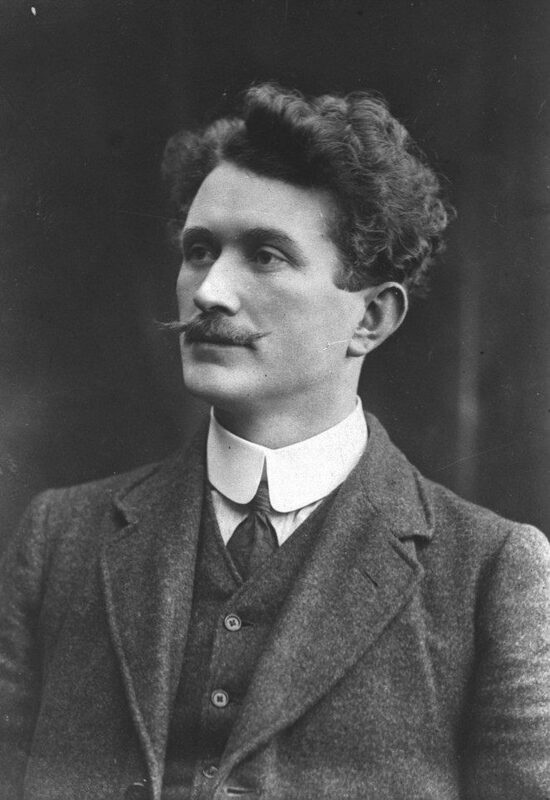 Thomas Ashe was imprisoned in Kilmainham to await court-martial. After trial by court-martial it was announced on May 11Th that he was sentenced to death along with Eamon De Valera. Later the death sentence was commuted to penal servitude for life. Ashe was then transferred to Mountjoy Jail and on 23Rd May with 65 other comrades was sent to Dartmoor prison in south of England. After six months in Dartmoor the prisoners were transferred to Lewes Prison near Brighton. Here they were joined by many of their colleagues from prisons in Britain. The restrictions in Lewes were not severe and this afforded Ashe the opportunity to teach Irish to some of the prisoners. As has already been recorded it was in Lewes Prison that he wrote the words and music of “Let me carry your Cross for Ireland Lord”. I was delighted to get your letter and especially so to hear that you are in such good form notwithstanding your present surroundings….Though your absence is a loss to the language at home, still by all accounts it is compensated to an extent by your being over there. I understand you are turning out some great students……Bean a tighe desires to be remembered to yourself. We have your photo in the dining room and she remembers you distinctly. When you call up, which please God will be soon, she will easily recognise you and welcome you in the language you love best….Good luck to you now my dear Tomas. While in Lewes the prisoners elected De Valera, Ashe and Thomas Hunter as their leaders. When their demands for prisoner of war rights were refused the prisoners went on strike. The leaders were transferred to other prisons. Ashe being sent to Portland prison after spending six months in Lewes. Around this time the British Prime Minister, David Lloyd George noted the growing support for Sinn Fein throughout Ireland and his government came under pressure to seek a solution to the Irish problem. Because of this it was announced in the House of Commons on 15Th June 1917 that Irish political prisoners were being released. 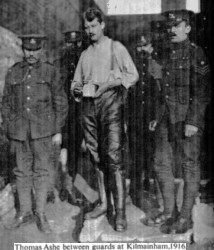 After less than a month in Portland Ashe and his comrades were transferred to Pentonville prison in London in preparation for their release. The prisoners were released on 18Th June 1917. They each received a suit of cheap clothing and were placed on a special train with a ticket back to Ireland by way of Holyhead and Dún Laoghaire (Kingstown).